Roberto Mario Silveira Issler, 54, is a Brazilian Pediatrician, graduated at Universidade Federal do Rio Grande do Sul (UFRGS), Porto Alegre, Brazil. He attended Residency on Pediatrics (3y) at Hospital de Clínicas de Porto Alegre. He has a Master Degree and a Ph Degree on Infant and Adolescent Health. 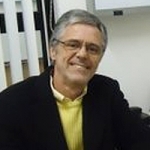 Since 1992 he is a Professor of Pediatrics in “Faculdade de Medicina”, UFRGS, Porto Alegre, Brazil. He has been in the Breastfeeding Committee of State Pediatric Society (Rio Grande do Sul, Brazil) for many years. In 1998 he got his certification as IBCLC (re-certified to 2013). He is member of a Multidiscipline Research Group on Infant Health, focused mainly in issues related to Primary Care (breastfeeding, infant growth and development, health promotion at ambulatory level). He also works as Pediatrician in his private office.